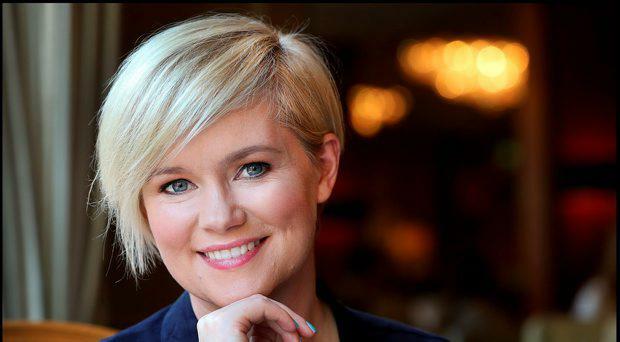 HER first teen novel Flawed hasn’t even hit the shelves yet, but Cecelia Ahern has already landed a movie deal for it with top Hollywood producers. Last night she revealed that Warner Brothers is adapting the book, which is due out in spring. “Ladies and gentlemen I have some AMAZING news. I’ve been dying to share this for months. Are you ready? ?”, she asked fans on Twitter, before posting a story about the deal by US film bible Variety magazine. The movie is being produced by Wendy Finerman and Michelle Chydzik. Finerman – whose credits include Forrest Gump and The Devil Wears Prada – previously produced the adaptation of Ahern’s first book, PS I Love You, starring Hilary Swank. Flawed is Ahern’s first book targeting the lucrative young adult market, which has seen hits in recent years such as the Hunger Games books and the Twilight series. It is set in a dystopian world where people can be branded “flawed” and the main character Celestine North’s perfect life is turned upside down when she stands up for a “flawed” passenger on a bus. News of the movie deal comes as the author’s 12th book, the Marble Collector, is released tomorrow. Ahern, the daughter of former Taoiseach Bertie Ahern, celebrated her 34th birthday recently, blowing out the candles on a cake that was baked in the image of the new book. Her husband David Keoghan surprised her with the cake . “Happy Birthday Cecelia. One of the greatest human beings I’ve ever met. Not a bad little writer too,” David wrote, captioning the snap of her intricate cake. The writer’s best pal Yvonne Connolly was also on hand to help her celebrate, throwing her a surprise party. Ahern and her husband have two children, Robin (6) and three-year-old Sonny.